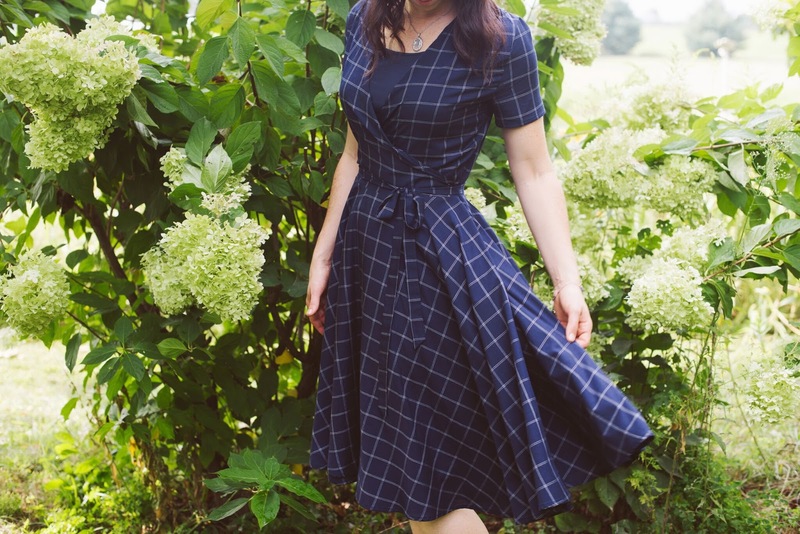 Thistle Harvest: Feature Friday: Rebekah Murray of Virginia Dare Dress Co.
Rebekah, do you mind just introducing yourself, where you live, and a little about your work to my readers? Hello! 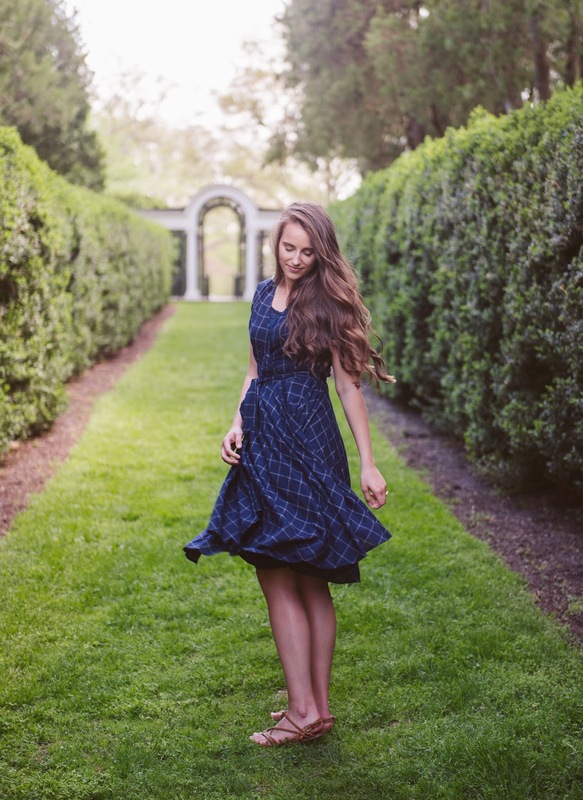 My name is Rebekah Murray, and I work as the founder of Virginia Dare Dress Company, designing beautiful dresses for the loveliest days. I’m just a girl in search of beauty and adventure and sharing it with others as best I can. I live in Northern Virginia (just a bit outside Washington DC). I was so happy to come across your blog! Kindred spirits are a treasure to find. 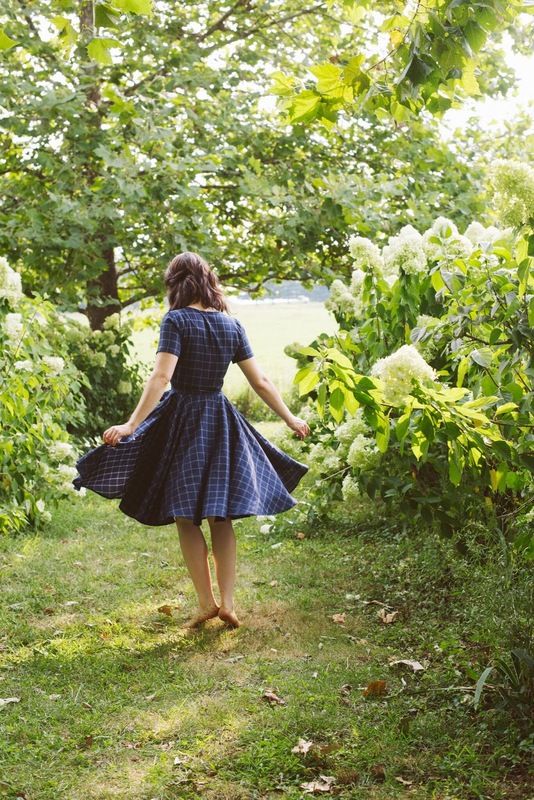 What made you want to design and create dresses and how did you get to where you are today? As strange as it sounds, it began with wanting to belong to the life I was living. 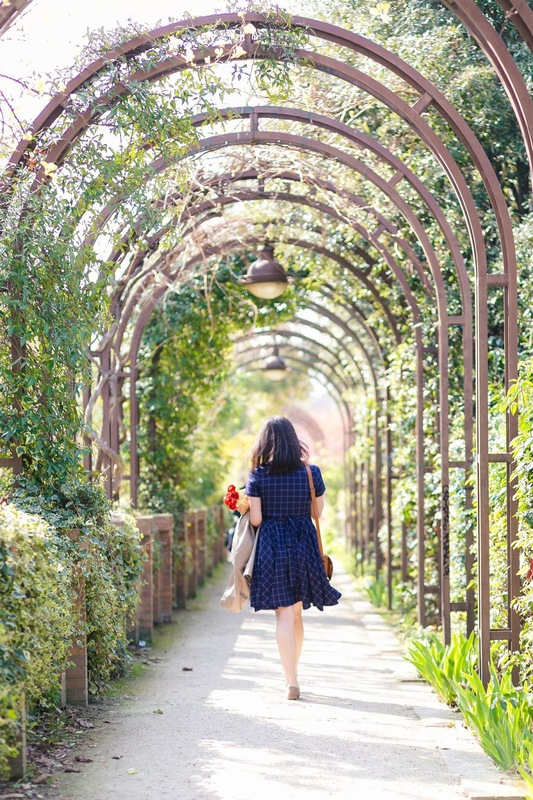 Just before the idea of the company came about I was traveling a lot for my work (as a wedding and fashion photographer) and even multiple times around the UK, which for any girl who grew up reading the Secret Garden is a gift beyond anything imagining. Those trips were so wonderful and having the right clothes for a remarkable day would make me feel like I fully belonged inside it. The timing was right, and a few hours later I googled “How to start a fashion company”, which led me down a few thousand rabbit holes. The idea slowly gained momentum, and unfolded into the most tumultuous, challenging, and thrilling journey you can imagine. I started with no idea how to design (or even draw!) or have clothes made to fit other people. 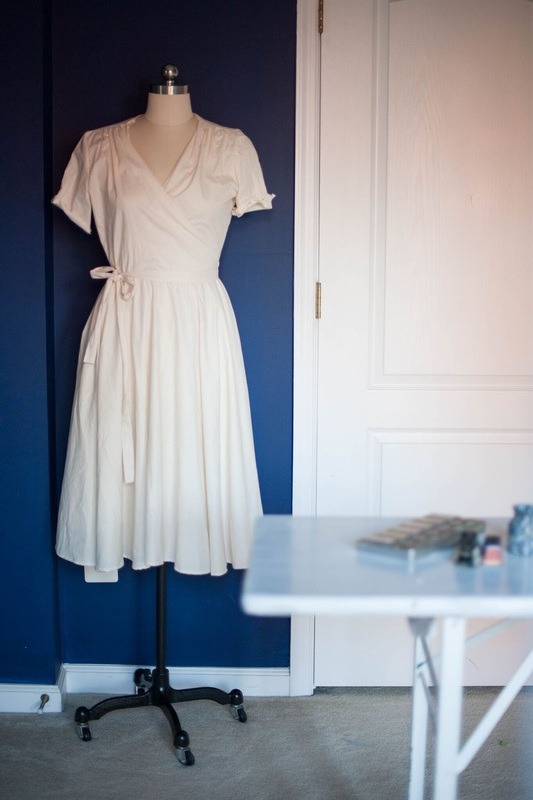 It took three years, six weeks and three days from that first evening of the idea to receiving my first production order of hundreds of dresses. 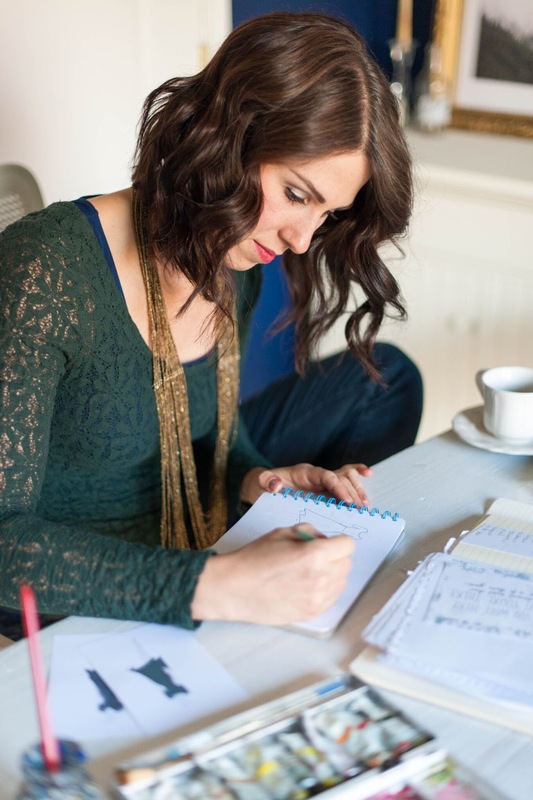 It’s hard to believe how much difficult work and miraculous help went into those years. 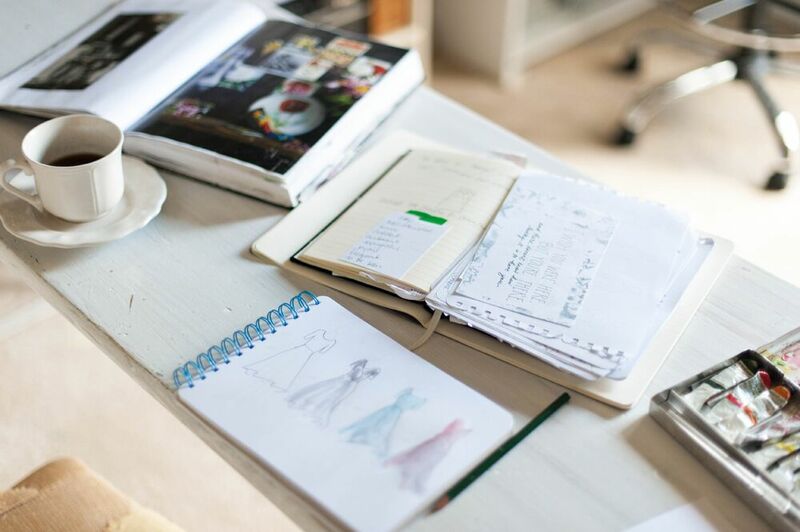 Can you take us on a little virtual tour of the process of production and tell us what makes your dresses unique? I think what makes the dresses unique is their beginning with real life and the time spent listening. The only statement I try to make as a designer is for embracing femininity and the dreams that we can choose to work for. 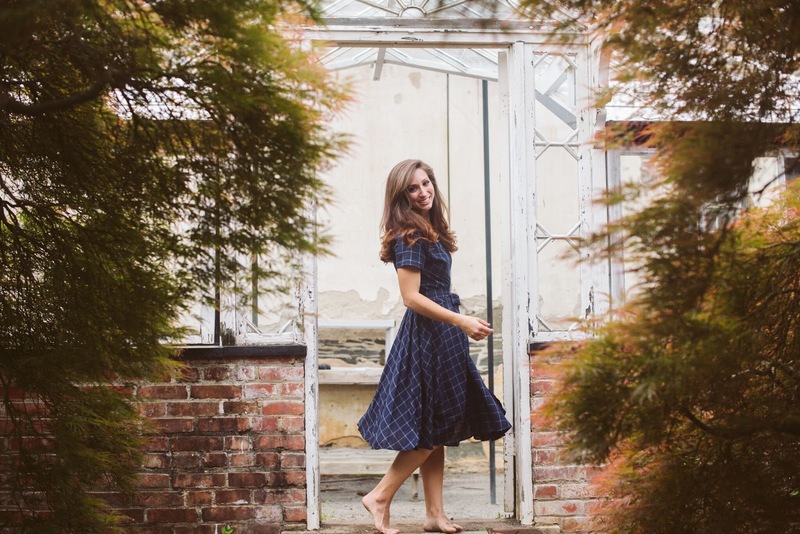 This company is created from what I think simple, beautiful, versatile and flattering dresses should be, but then I talked to hundreds of women about their style, how they shop, what they want to wear. This was so helpful both finding out what was missing in their closet and what they wanted to say through their style. 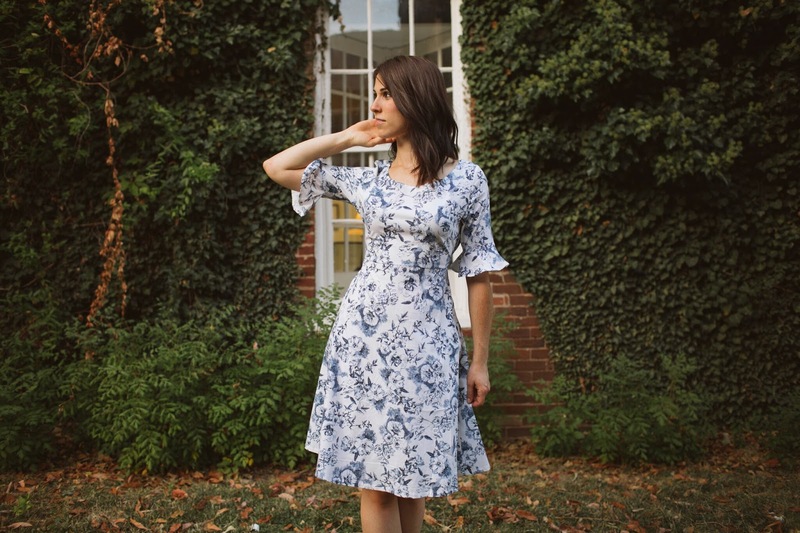 There are many of us too young at heart to ever feel our age, (I’m brand new to the 30 club) but we also want to look elegant and feminine in an appropriate way. It’s a tricky balance sometimes. Besides the style, I wanted the company to be for the Romantics. The whimsy-loving women who were imaginative girls and still hold onto a confident and playful mindset. 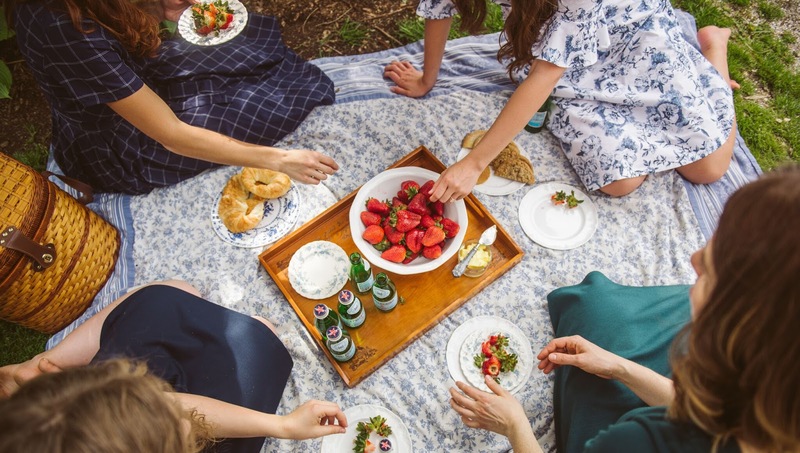 The aesthetic of the line is you and Kate Middleton out for a picnic, so they're simple, pretty dresses with pockets (always!) 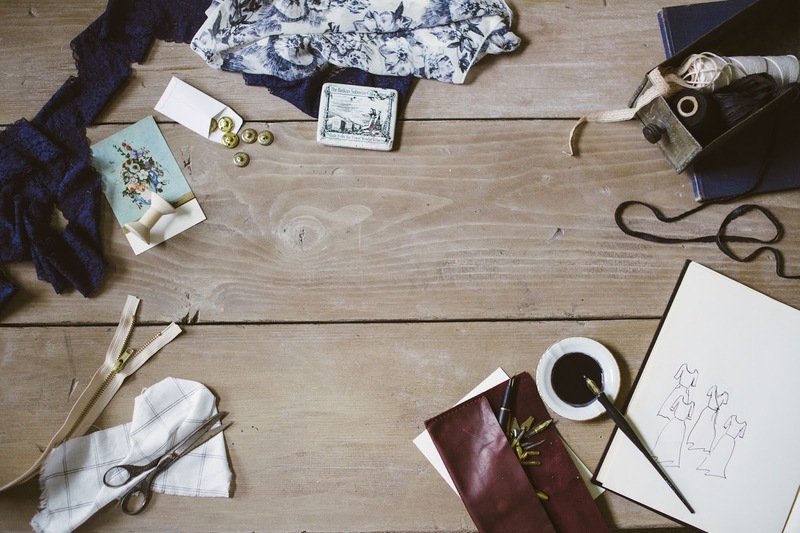 quality fabrics and simple and thoughtful styles. 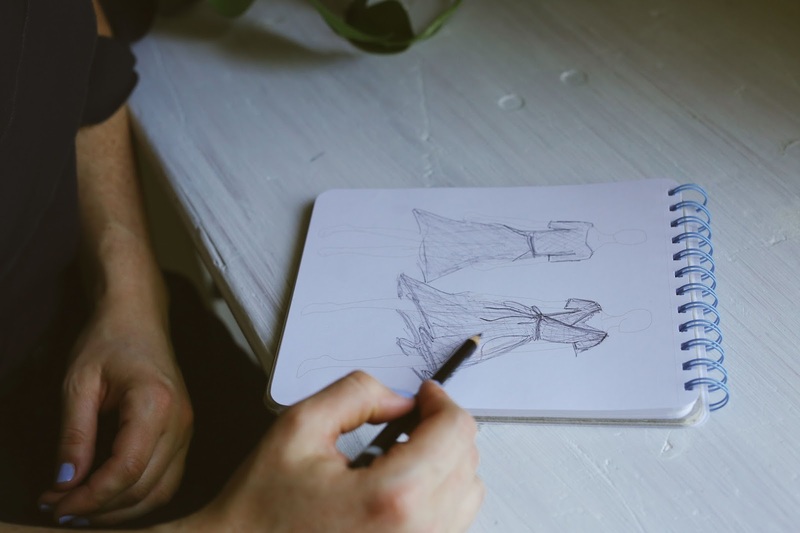 I design for the ones who love the feel of elegance in everyday life, and who see a well-fitting, well-designed, beautiful dress, as an important part of that story. 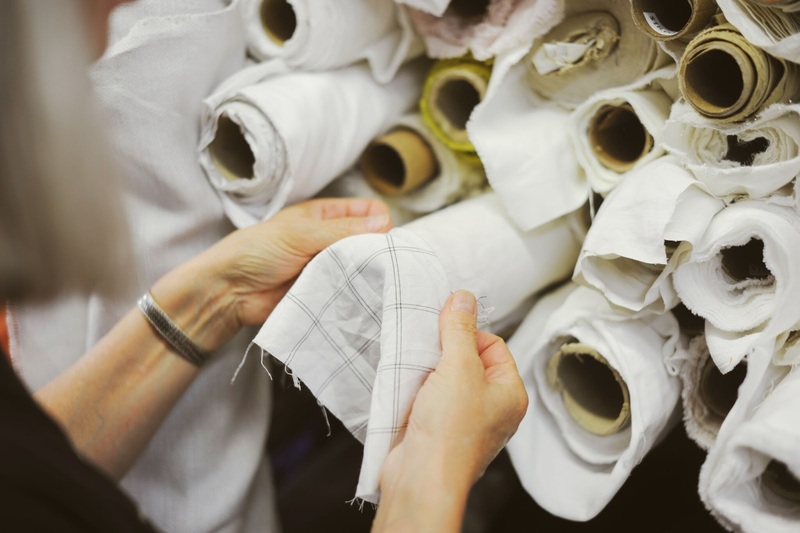 It starts with finding a fabric and designing a garment around it, or coming up with a design and tracking down the right fabric for it. I don’t have any training in design but my favorite way is to imagine scenarios and design for that. Like, if I was in such-and-such a place, with such-and-such people, and we were headed to a somewhere, what would be the perfect dress for that day? 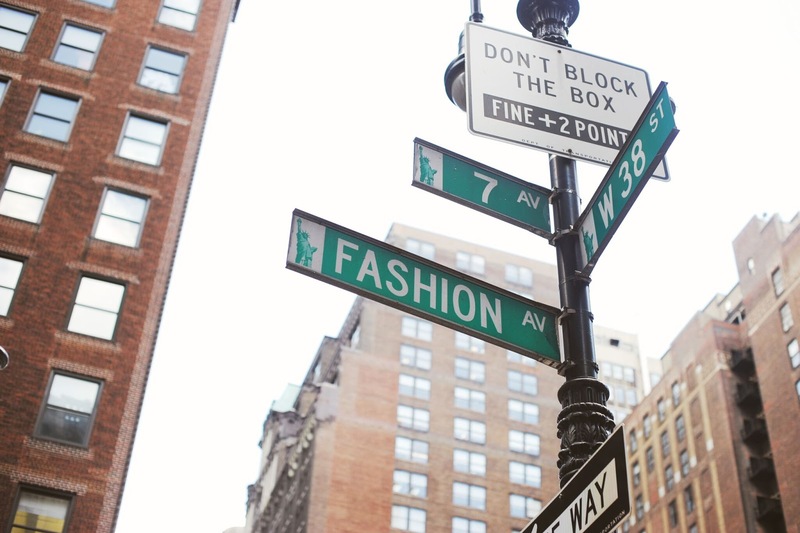 Places have personalities and I want the clothes I design to be suited for the kinds of location I love. The process can be really fluid but it’s also difficult, and I’ll have to keep reminding myself to just get through the first thousand designs and then the next thousand will be better, and then the thousand after that. No alternatives to doing the work. Finding fabrics is no simple process but attending trade shows is the most fun. You arrive to a convention center and mills and suppliers from all over the world each with their own booth holding racks of fabric squares to be flipped through and studied and imagined into a collection. (Also the people are from France, Japan, Turkey, Italy etc, so even standing in line for coffee puts you among the dreamiest accents and debonair suits.) 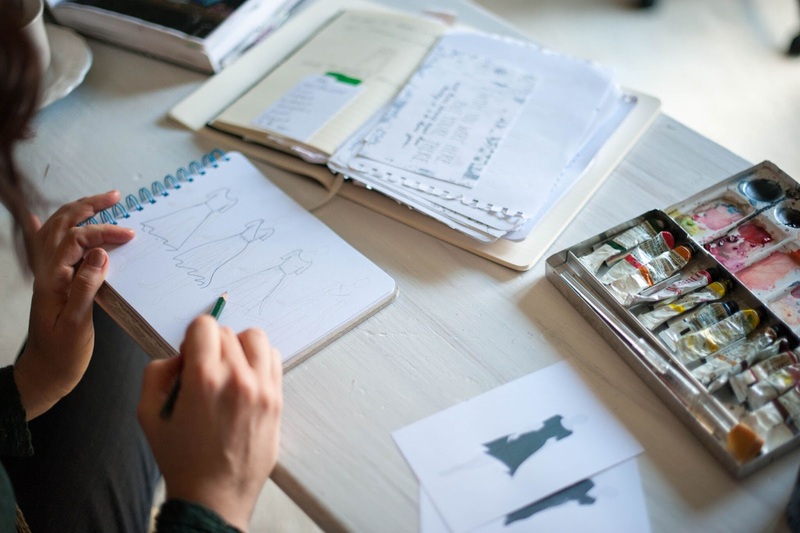 You get to make those personal connections, touch hundreds of fabrics, request samples to be mailed to you, and come away with new ideas from seeing what’s available. It’s inspiring in such a tactile way. 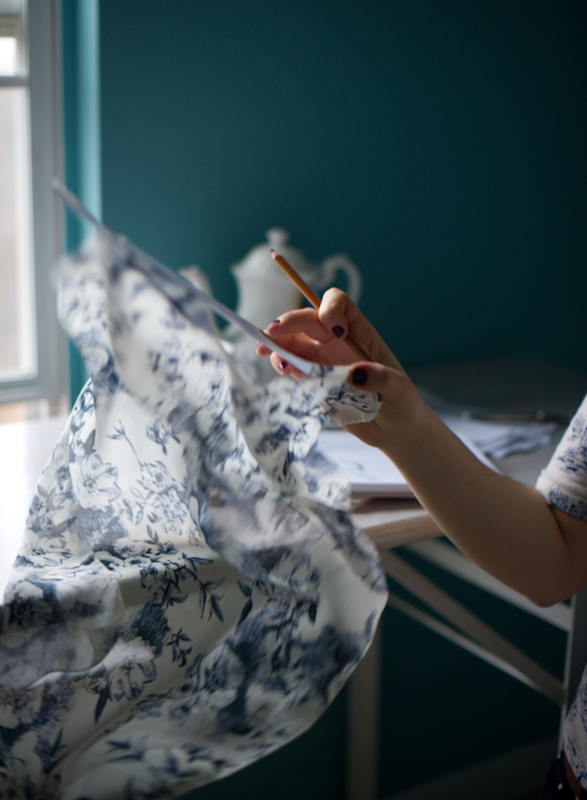 Besides just finding fabric that’s available, you can work with some suppliers to custom dye the color of a fabric, or you can also work with textile design companies to purchase the copyright of a design, (in my case, the floral print I’ll never fall out of love with) and then it can be printed on whatever fabric I match it to. It’s a bit more work but so worthwhile. The floral print for instance I purchased was designed by a company in Philadelphia. 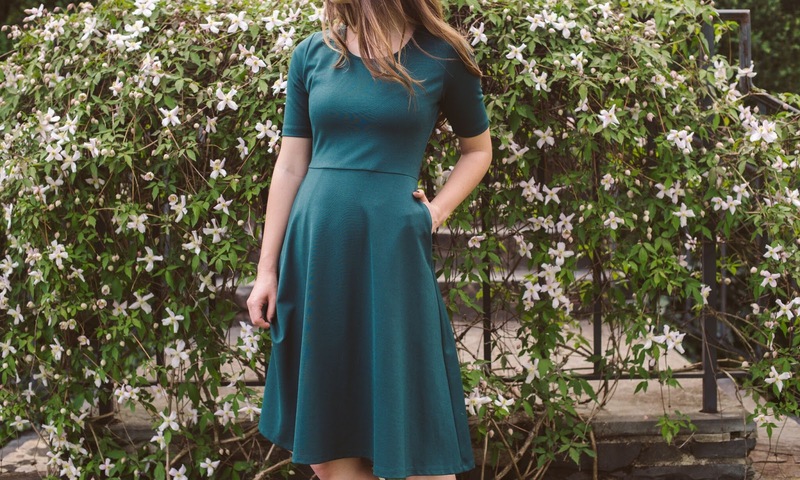 I found the cloth through a rep in NYC for a company in Los Angeles, and it all came together to make the sweet Camilla dress. 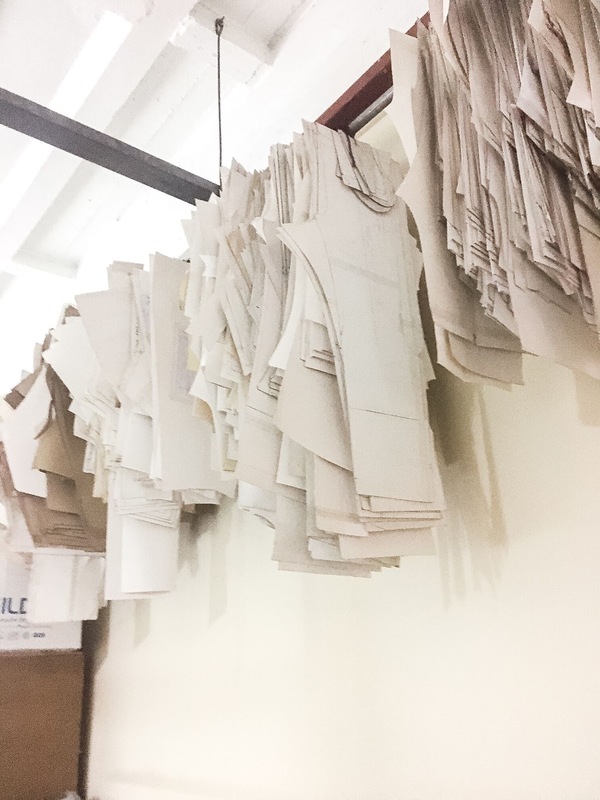 To then go into production there is so much to coordinate - how many dresses to make, how many of what size, ordering fabric, zipper, and labels from all over the world and coordinating shipping, customs and delivery with the help of a logistics company. It’s quite a long story but eventually, the grand search narrowed down to two, and after a couple of in-person visits on my behalf and quite a few international calls I decided on a factory in Guatemala City. The woman who runs it has worked for Ralph Lauren and did gorgeous work, and eventually, when I got to visit just before we started production, she was so sweet and personal. 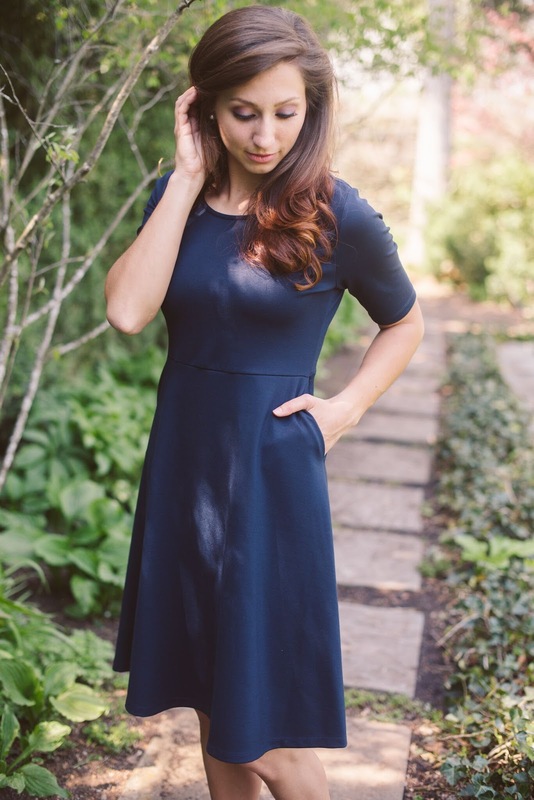 I used Kickstarter to pre-sell the line, so I could afford the production costs, so with that in place I could do a larger order and working in Central America gave the best quality of sewing since it’s the main industry there, but it’s also near enough that we could have multiple visits in person to help bring the dresses to life. 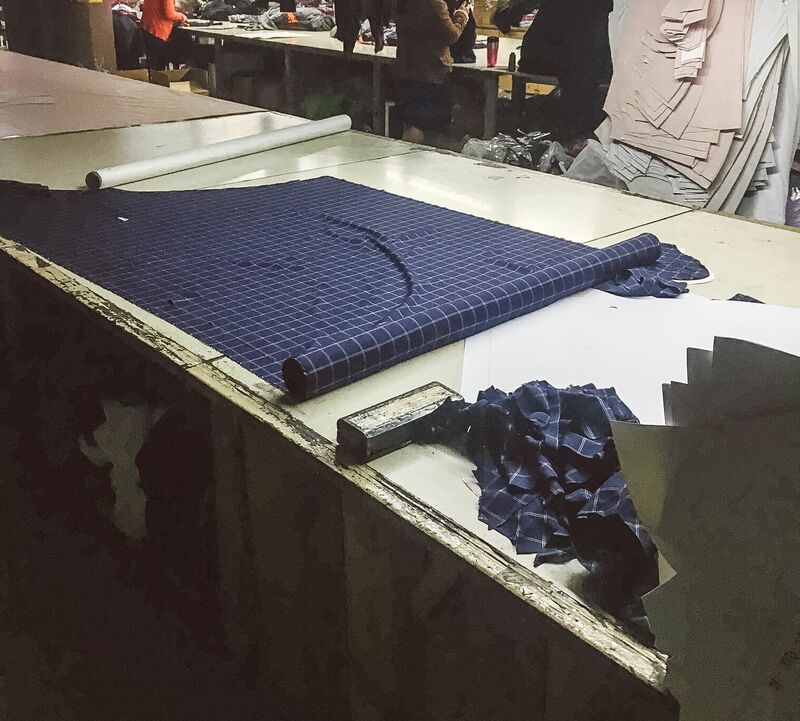 During my visit, we’d go to the factory almost everyday and work with the different department heads there to go over details with the dresses, and also hired a Quality Control Manager (separate from the factory) to be my eyes there in the weeks that followed. They helped refine the fit of the dresses even more, and once we signed off on everything (with so much nervous excitement! ), they began cutting the fabric and sewing by hand each dress. The QC manager would often visit and inspect pieces as they were finished to see if anything needed to be checked, and in the spirit of a personal and loving brand - would bring gifts from me to everyone often to show my appreciation. I see you have done a bit of traveling. Traveling is one of my greatest passions! What are some of your favorite places you've visited and why? The British Isles have my heart forever and always. Especially the Isle of Skye off the western coast of Scotland is staggeringly beautiful, and the villages or coastlines on the south or southwest of England, or anywhere in Ireland. I'm not normally a city girl but London is something special to me, and I’d love to try living there if I could whisk all my favorite people there with me. Because of being a wedding photographer I’ve gotten to travel a lot for work and then for some places I’ve gone back again many times because of having clients turn into friends I can stay with. For a mixture of work and travel I’ve loved Puerto Rico, Hawaii, and British Virgin Islands, and for volunteering have had wonderful memories from trips to Chile and southern Africa. Closer to home - Nashville is probably my favorite place to visit actually along with Maine and Yosemite. It's been too long since I was in Nashville but I love how many artistic people find home there and the Tennessee mountains are beautiful too. The more I travel the greater appreciation I have for my own state of Virginia. The views and little towns here are quaint and picturesque and there's plenty to see if the time is made for it. 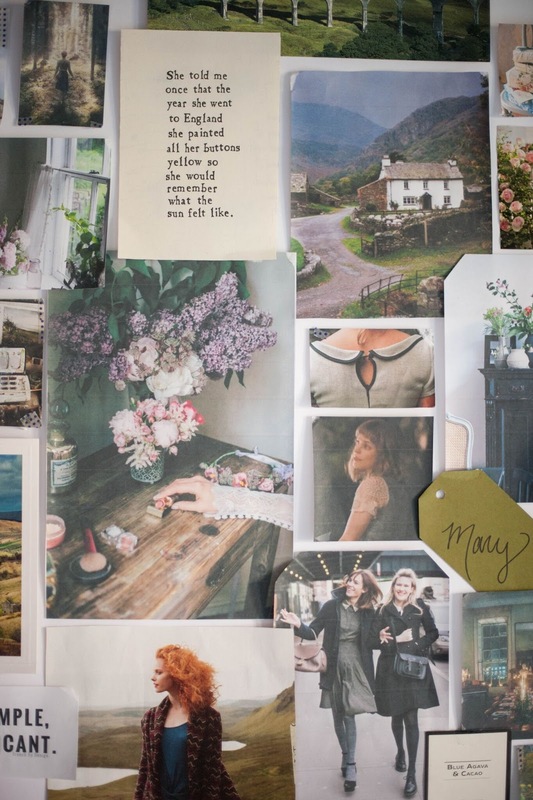 What sort of things inspire you in everyday life? Taking time to be surrounded by beauty, seeing the hard work of others pay off for achieving their dreams, the beauty in people connecting over what they care about or just a simple but generous table of food. I love stopping for coffee in beautiful restaurants in the middle of the afternoon, or garden walks in the evening or anything that is out of habit for the pursuit of making friends or making beautiful. What’s inspiring too is getting out of the confines of our life or perspective of it, to me, time every morning spent with God is the greatest “work” of our lives. We all know how much relationships live or die depending on closeness and communication, so praying and reading the Bible and keeping my heart open + humble + in communion with Him is just that. I love working and finding new ways of doing things and working through a problem or reading stacks of marketing books with plenty of black coffee and paper nearby. I’m inspired by hearing other people talking about what they’re doing and seeing their hard work pay off. What are your interests/hobbies outside of your work? I also love to paint and craft and make things, especially for gifts. I'll get really into a new idea and let that be my new favorite thing, and then the next month it's something else. I love to snowboard and ice skate and long drives to nowhere. I’ll be off in a few weeks for more fabric shows in NYC for reimagining my current styles in new colors and prints for Autumn 2017. 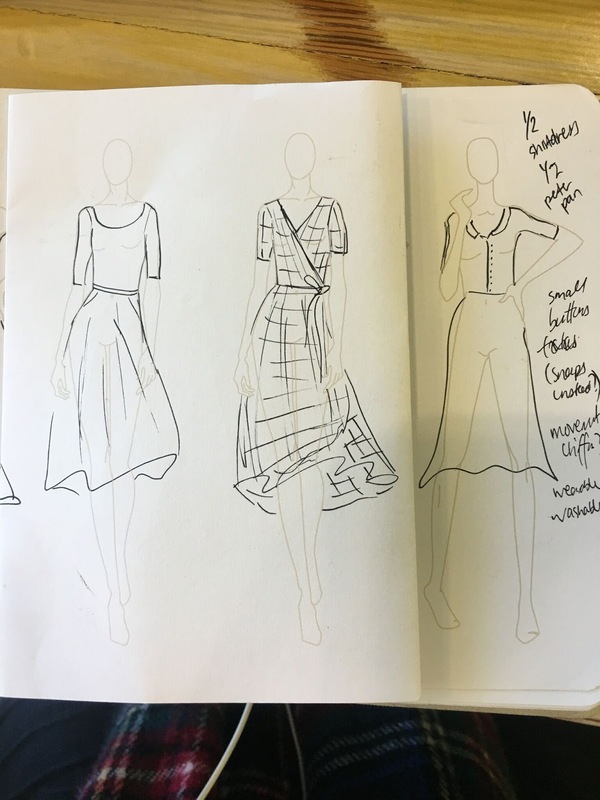 I’ll also be working on Spring 2018 and hopefully adding in new textures and fabrics to a new collection of styles, and maybe even branching out to include maternity styles or extended sizes. I hope to continue learning about how to do this work better and how to connect with the right people, and how to take my love of beauty and adventure into my work and share it with as many women that I can. 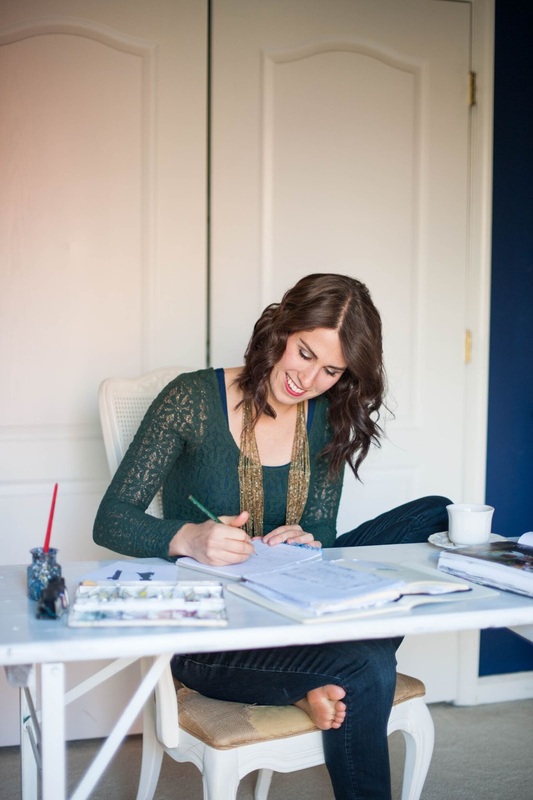 Photography by: Made With Love, LaRue, Victoria Heer, Abigail Gallop, and LoveKnot Photo. I loved this blog! It was a delight to "meet" Rebekah & see how God has led her in her journey to create beautiful dresses for everyday adventures. I wish her the very best!